If I have it, you have it. 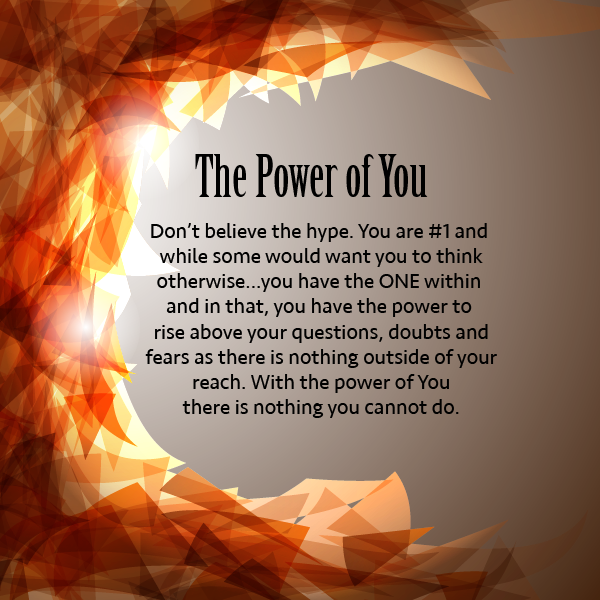 If I have it, You have it and We have it…Power! It’s the power of the soul, the ability to direct the path to our intended outcomes…I believe in me and I believe in we. I look all ways before I walk/I hear my thoughts before I speak/I imagine the places I want to land/I choose when to open my doors..my heart…my soul. The day has come and the time is now…it’s the power of soul—a power we can control. What Does Tyler Perry, the 12-Steps of AA & Bhutan Have In Common?